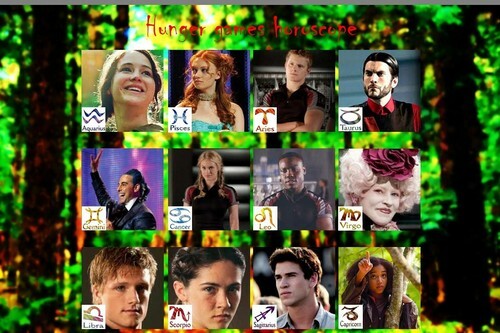 Hunger games - horoscope. I know that one horoscope already exists, but I wasn't satisfied with my sign! And I know that Katniss almost must be Sagittarius, but my friend wanted that she will be Aquarius.... HD Wallpaper and background images in the The Hunger Games club tagged: horoscope zodiac.